Culled from over 60 articles and 30+ years of performing, Wandering dives into my processes, concepts, successes, and failures – as a teacher, as a musician, as a human being. My vision is not only to reach other musicians, but to anyone who tries to approach the world with wonder, curiosity, and care. This book is a roadmap I’d like to share, in hopes that it will lead you into illuminating corners of yourself that you might not have found on your own. 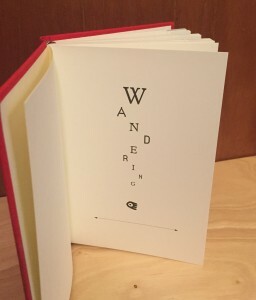 Wandering Music, the companion record, includes new original music written for strings, percussion, brass, electronics and more. The ‘graphic score series’ use images from many of the improvised drawings and illustrations found within the Wandering book. Solo interpretations of these pieces by music masters Cyro Baptista, Nels Cline, Anthony Coleman, David Fiuczynski, Bill Frisell, Annie Gosfield, Billy Martin, Rakalam Bob Moses, and Marcus Rojas.